Cutting dryer of Kosun is a well-known brands in China. It has 25 years of history in solids control. separation through centrifugal separation. Cuttings dryer have been proven to be one of the most effective waste management equipment for oil-based or synthetic drilling operations. It can also be used to exclude Wet solids in the liquid, such as washing clothes with wet clothes; special ultra-speed tube separator can also be separated from different density of gas mixture; the use of different density or particle size of solid particles in the liquid settling speed of different characteristics, some settlement The centrifuge can also classify the solid particles by density or particle size. Why this centrifuge is so popular? 7. Lowere cost because lower waste volumes. Vertical cutting dryer of Kosun has more than 25 years old in solid control industry. 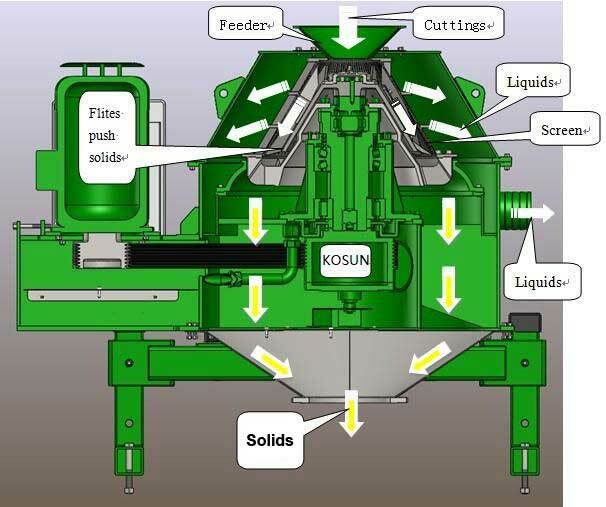 Kosun concluded much more experience in drilling waste. With years marketing experience, KOSUN have been expanded its market globally, and have been established the friendly partnership with GAZPROM, PEMEX, AVA, SOCAR, SAE, etc. As a leader in China’s solid control and drilling waste management industry, Kosun has been highly valued by its local customers for its high quality products and quality service. Branch letter will continue to provide customers with better products and services. Previous PostPrevious What Are the Functions of the Vertical Cutting Dryer?